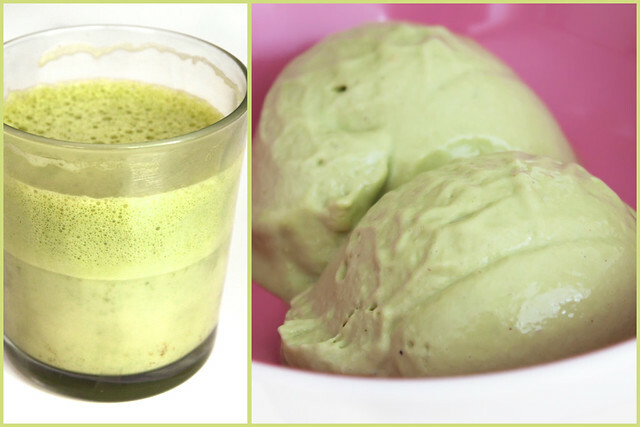 Matcha, which is effectively a very concentrated green tea, originates in Japan but has become popular here in the UK (and elsewhere) in recent years. If you’re interested in the superfoods fad, matcha surpasses most of the other winners in terms of antioxidant density, outranking all the usual suspects by miles (including blueberries, spinach, gojiberries, and so on). I’ve been on the look out for matcha powder for years, though admittedly not with a fervour, but what I’ve found in London’s Japanese shops contains so many seemingly unnecessary ingredients that break my if it-can’t-be-pronounced-or-isn’t-an-understandable-additive-it-doesn’t-belong-in-my-mouth rule. Hence I’ve yet to purchase any. 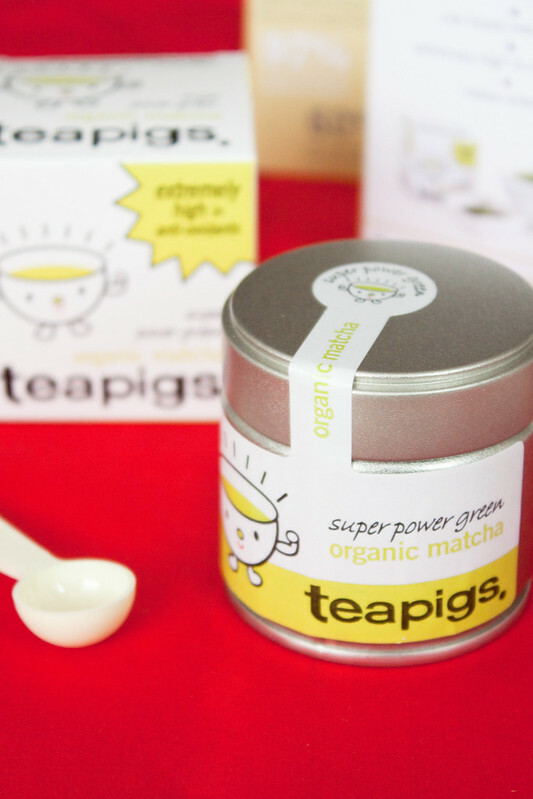 Then a few weeks ago Teapigs sent me a sample of their 100% organic, 100% only ground green tea matcha powder (scroll to the bottom of the post for a 20% off voucher code). Finally, matcha as it should be! No preservatives and dyes (why would you need to add green dye to something so high in chlorophyll anyway?) and on an aesthetic note I have to say the packaging design is stellar. I knew the first thing I’d make would be ice cream (scroll down for the recipe), but I wanted to try the tea in beverages as well. Naturally I tried it mixed with plain hot water (refreshing), but Teapigs were kind enough to also send an Aerolatte wand. Hence I decided to make something of a matcha latte – 200 ml Bonsoy soy milk, 1 gram matcha, a pinch of cinnamon, and a squirt of Sweet Freedom syrup. I’d never used an Aerolatte before as I have an espresso machine with a steam wand, but apparently they’re a little more powerful than your standard hand whisk (imagine a blender full of liquid, turned on without the lid in place. That was my latte). Anyhow, if you like rich hot bevvies, the matcha latte is where you need to be. My partner knew what I was up to in the kitchen, and is naturally dubious of any tea that isn’t of the skanky English breakfast variety (the only tea I truly dislike). Needless to say, when I presented his face with a spoonful of the finished product he nearly didn’t open the hangar. A few seconds of brutal force later he admitted the ice cream was good. See? Always try everything once, even if it doesn’t initially appeal. If you’re a teetotaller and want to ditch the vodka in the recipe then it’s not a completely necessary ingredient, but rather present to aid in the ice cream’s softness once frozen (you know how sometimes ice cream is rock solid upon freezing? Alcohol doesn’t freeze, so it’s a great additive for that reason). Glucose syrup will do the same thing, so that’s an alternative option. Otherwise just leave the ice cream at room temperature for a few minutes before digging in. Blend all ingredients until smooth in a high powered liquidiser. If you don’t own one, soak the cashews in the cream for an hour before blending. Add to your machine and make ice cream based on your ice cream maker’s instructions. 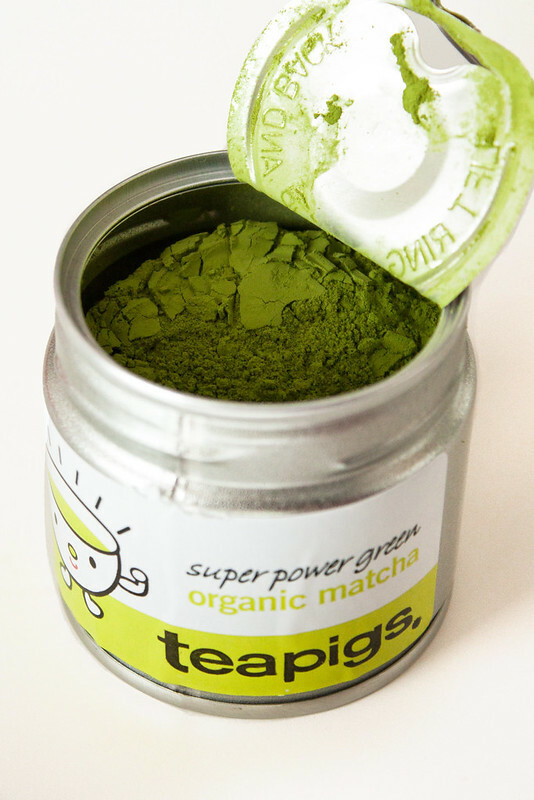 If you’re interested in trying Teapigs matcha, the company has been kind enough to offer a 20% off promotion code for readers. Enter the code MATCHABLOG12 upon checkout for 20% off matcha (excludes kits and accessories and can only be used one time). Thank you to Teapigs for the matcha sample and the Aerolatte wand. Woah! Matcha is one of my favourite ever flavours! I wish you could bring this ice cream to my house right now! Wil have to try this recipe! That ice cream sounds amazing! This looks really interesting…Thanks for finding a brand of Matcha that does not have any artificial colors or man-made chemicals. I will give the ice cream a try.